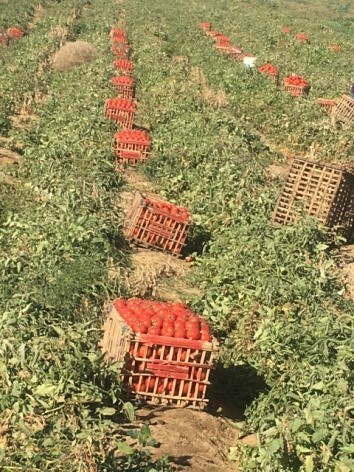 Since 2015, the Global Cold Chain Alliance (GCCA) has supported cold chain development in Egypt via the USAID-funded Feed the Future Food Security and Agribusiness Support (FAS) project. An assessment conducted in 2016 outlined several activities that GCCA has worked to implement, and we have maintained flexibility to respond to needs that have arisen after the assessment. 2019 has begun with an intense focus on two such activities. First, from January 13 to 14, Dr. Mohamed El-Mogy, Postharvest Education Foundation graduate and Professor at Cairo University, worked with Dr. Lisa Kitinoja, GCCA Senior Technical Advisor, to provide postharvest training on tomato postharvest handling to farmers in Luxor. This training was replicated off training that was delivered in December to farmers in the governorates of Bani Swief and Assiut. The last week of January, GCCA member DGrid Energy will send a solar expert, Sequoya Cross, to Cairo and Luxor to deliver a training with James Eason and Hesham Badawy on how solar can be used for cold storage. While Cross will focus on the technical aspects and specifications, Eason will facilitate an understanding of the business case, while Badawy will draw parallels to other locations and experiences in Egypt. The anticipated outcome of this seminar is that participants will be equipped to make the right decisions for their businesses when it comes to an investment in solar.